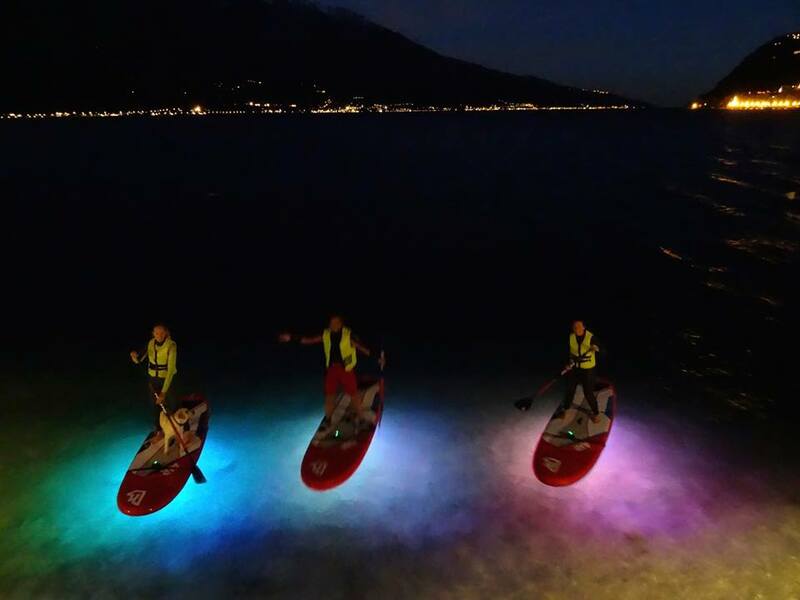 It’s the newest watersport on Lake Garda. Everyone can do it, you only need to be able to swim. Rent a board and paddle around, play and relax. Enjoy being on the water of Lake Garda. There is no better way to spend a hot day! SUP under the stars or by full moon. We organize evening SUP tours. Under the SUPs we attach LED lights which shine 360 degrees around you for good visibility. Our evening tour goes to "Porto Vecchio" where we have a drink and on the way back we take a moment to lay on the SUPs, look up and see the most amazing sky! Our introduction tour which we recommend for people new to the sport is 15,- euro per person. We provide you with everything you need. Just bring a towel and your bikini or boardshorts. You learn how to hold the paddle, the paddle technique. Where to stand on the board and how to control your direction. Don't miss our SUP underneath the stars or with full moon tour. Have a look at our event calendar to find the full moon tour. SUP on the stars tours are organised on request any day. 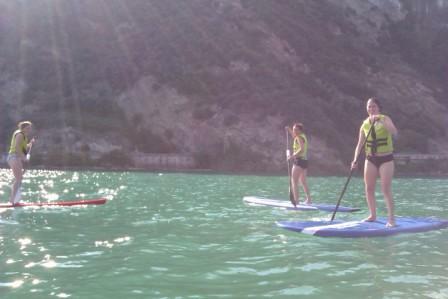 The price for this tour is 25 euro and includes a drink in Porto Vecchio where we paddle to. On the way back we paddle a little away from the shore, lie on your back on the SUP and enjoy the amazing sky. very beautiful movie! Garda lake is an amazing place, it's really wonderful! You are very lucky to live there!